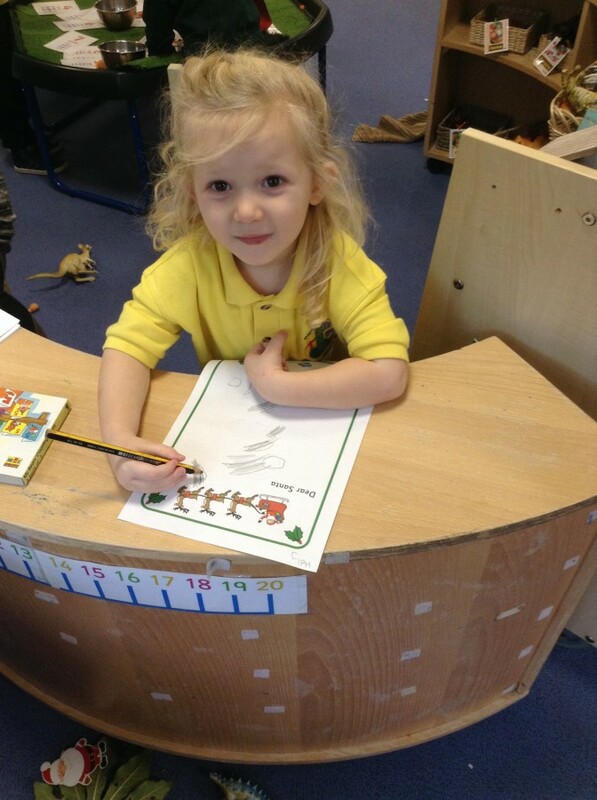 The children have enjoyed reading ‘The Gruffalo’ and ‘The Gruffalo’s Child’ this week. 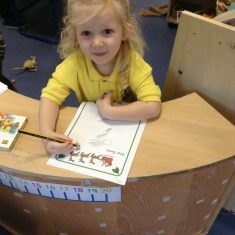 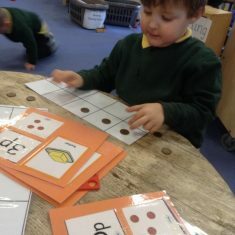 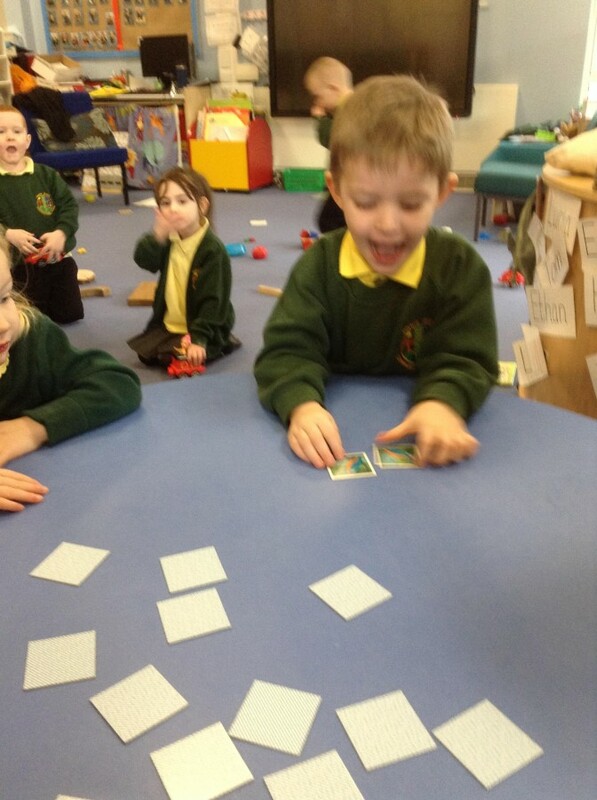 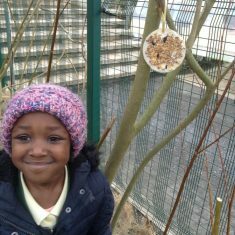 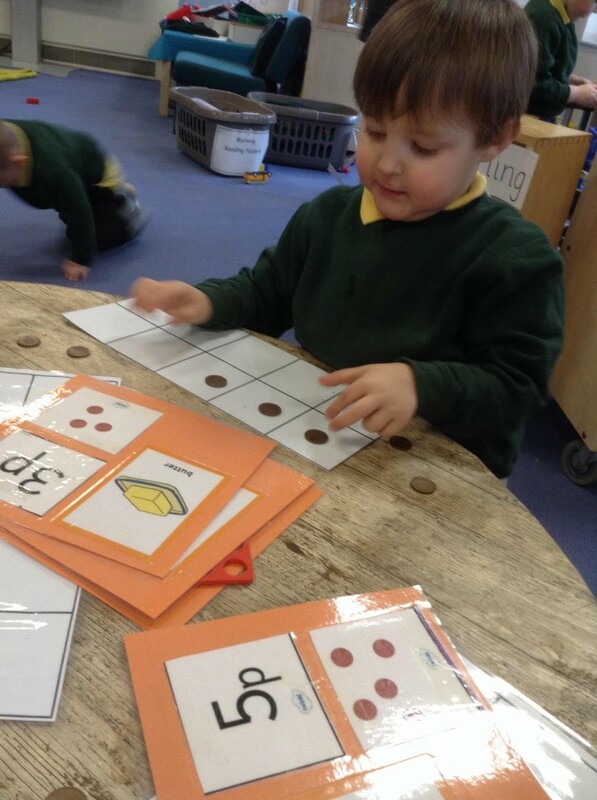 The children used props in the small world area to retell the story in their own words. 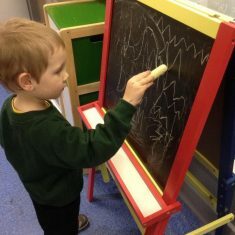 They also did a great job painting their own Gruffalo pictures. 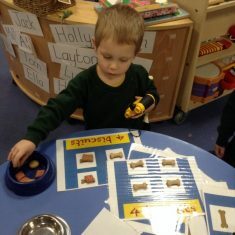 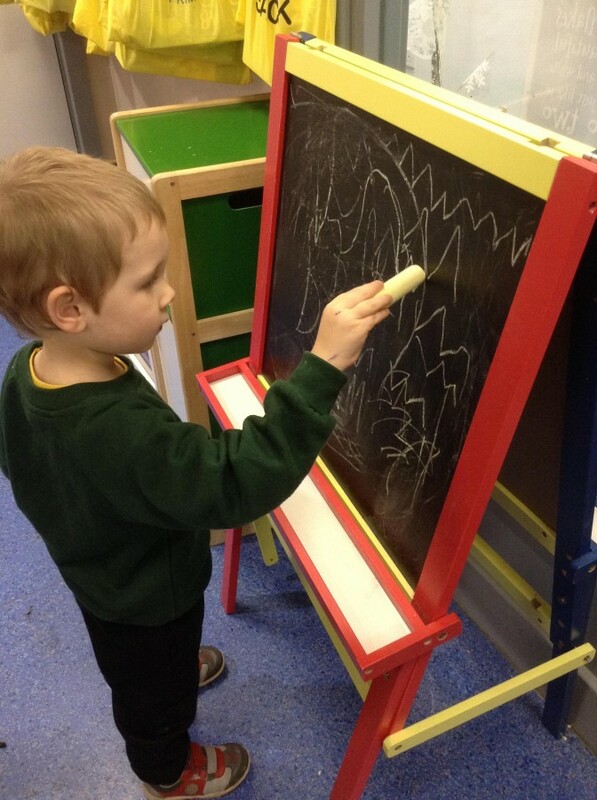 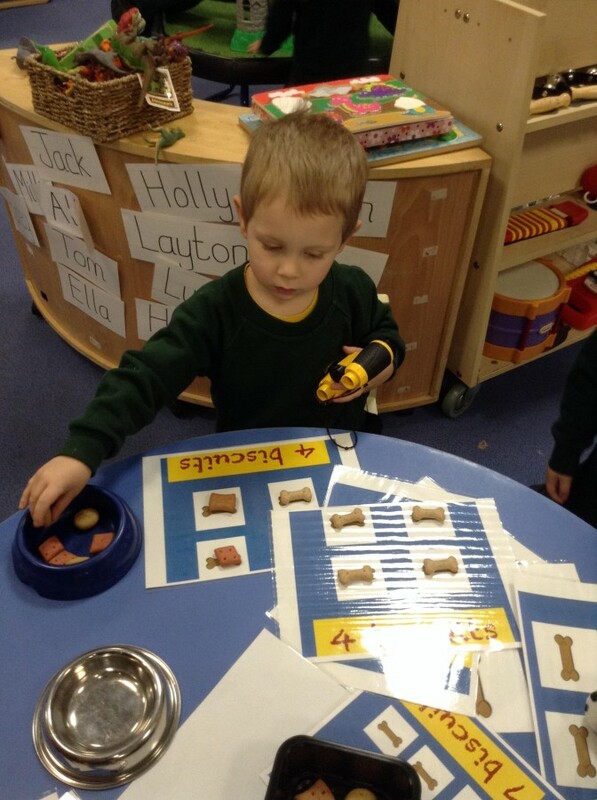 Caring for the animals in the vets role play area. 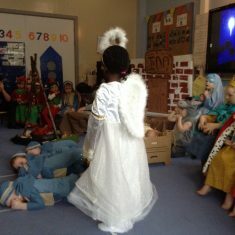 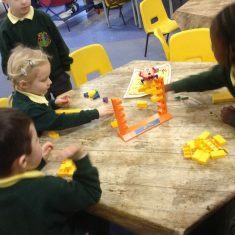 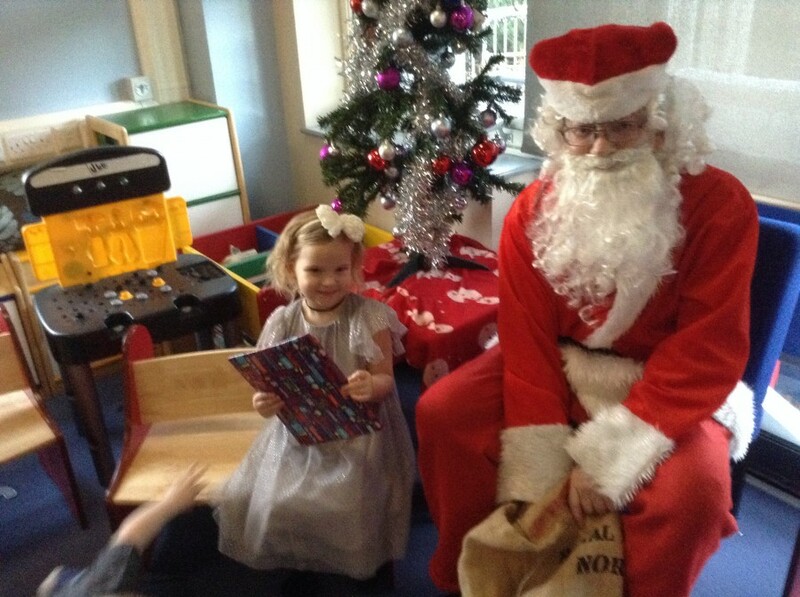 The Nursery children enjoyed the last day of term with their Christmas party. 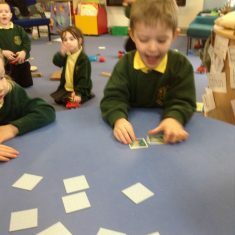 They had great fun dancing and playing party games such as pass the parcel and musical statues. 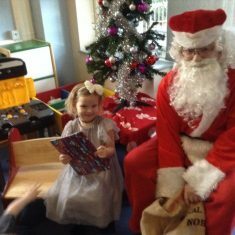 They enjoyed sharing their party food and even had a surprise visit from Santa! 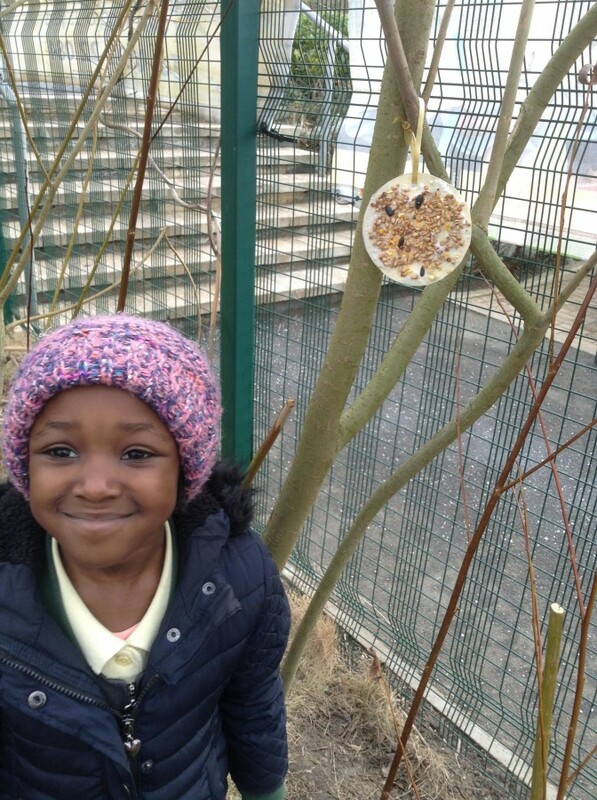 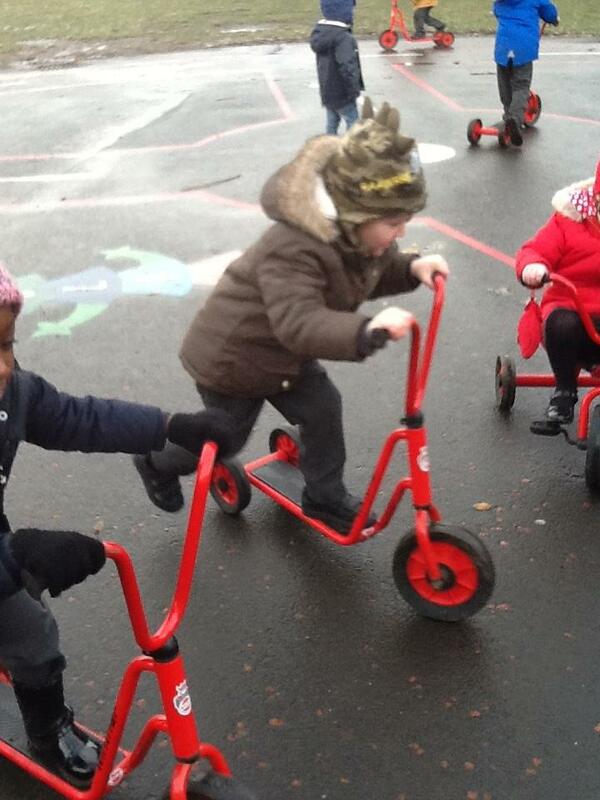 Lots of Nursery children are hoping that Santa might bring them a bike or scooter next week. 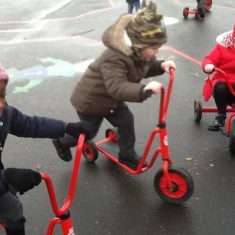 They have been trying hard to stay on Santa’s ‘Good List’ and they have been practicing their balancing and pedalling skills on the Nursery bikes and scooters. The boys and girls did really well!